Korean Concert Society's most prestigious program, the Kennedy Center Debut Recital series, has presented over two dozen outstanding artists since 1980, many of whom have gone on to play with major orchestras, make acclaimed recordings, or become in demand soloists. These artists are chosen in an annual jury process from a pool of global applicants. Typically, the program focuses on violinists, cellists, and pianists in annual rotation, although some other instruments have been chosen. 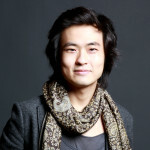 Korean pianist Dasol Kim brings “a refined artistry of incredible maturity” to his performances (North Germany Review). A sought-after soloist, he has appeared with orchestras including the New York Philharmonic in Seoul, the Tonhalle Orchestra Zurich, the Berlin Konzerthaus Orchestra, the Bavarian Radio Symphony Orchestra, the Orchestre de la Suisse Romande, the Berlin Chamber Orchestra, the MDR Leipzig Radio Symphony Orchestra, Concerto Budapest, and the Belgium National Orchestra. 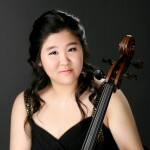 Cellist Sang-Eun Lee won the 2014 Young Concert Artists International Auditions, and First Prize at the 2014 YCA Auditions in Seoul, Korea, and at 15, she won First Prize at the 2009 Johansen International Competition in Washington, D.C., Second Prize at the 2009 International Tchaikovsky Competition for Young Musicians, and the Young Musician Prize of the Emanuel Feuermann Competition in Berlin. 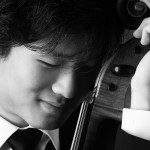 In May 2011, the cellist Han Bin Yoon was awarded First Prize in the USC Thornton School of Music’s Concerto Competition, and in December 2011, he won the school’s Inaugural Performance and Presentation Award. Following these awards, Han Bin performed the Dvorak Cello Concerto with the Thornton Symphony, under the baton of James Conlon, and gave a series of recitals throughout Southern California in the early months of 2012. Irene Kim’s dazzling yet stylistically pure performances have been heard across North America in recitals and appearances with the Washington Youth Orchestra, Los Angeles Korean Chamber Orchestra, Rio Hondo Symphony, Southwestern Youth Music Festival Orchestra, and repeat performances with the Young Musicians Foundation Orchestra. Irene has won awards including the Franz Liszt First Prize in the Liszt-Garrison International Young Artist competition and top prizes in the Carmel Music Society, Yale Gordon Concerto, and Russell C. Wonderlic competitions. Esther Park was chosen as the 2012 Kennedy Center debut recitalist, but cannot perform because she has been invited to participate in the Leeds Piano Competition. KCS congratulates Esther on this opportunity and is pleased to announce that alternate Irene Kim will perform instead. 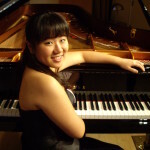 Pianist Esther Park has performed as a soloist with orchestras and in recitals across the United States as well as Asia and major European cities. 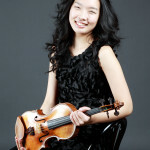 Ms. Park has appeared as soloist with many orchestras such as Houston Symphony, Corpus Christi Symphony, Filharmonia Pomorska, Poland, Orchestra Filarmonica, Romania, Shanghai Philharmonic, China, the American Academy of Conducting Orchestra at Aspen, Shreveport Symphony, the Juilliard Symphony, and the New Jersey Symphony. Born in Korea in 1985, Ji-Yoon Park won first prize at the Hankuk Ilbo Competition at the age of nine, and two years later took home first prize from the Chosun Ilbo Competition. In 2001, one year after moving to France, she was awarded first prize at the Concours des jeunes interprètes de Canet in Roussillon, and went on to win first prize at the Tibor Varga International Violin Competition in Switzerland at age 18. 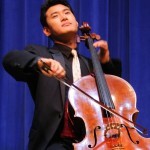 Korean cellist Jonah Kim was recognized at an early age as an extremely gifted musical prodigy. He studied briefly with the renowned Janos Starker, who later remarked, “Jonah is an exceptional talent. He is at the top of his generation.” He studied for six years at the Curtis Institute of Music and participated in master classes with many of today’s leading cellists. Sang Eun Lee had to cancel her recital because she was selected to compete in the second round of the Grand Prix Emanuel Feuermann. 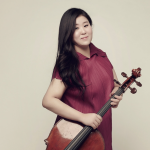 KCS congratulates Sang Eun, and, though we regret she will not perform, we are pleased to announce that cellist Jonah Kim will perform instead. Sang-Eun Lee, was born in 1993 in South Korea and is a student of Myung-Wha Chung and Hae-Eun Kim at the Korean National University of Arts in Seoul. The winner of the Ewha-Kyunghyang Competition has already gained concert experience as a soloist with orchestral accompaniment. In May 2010 she performed the cello concerto by Robert Schumann with the Seoul Philharmonic Orchestra.